Ethel died Friday, February 8, 2019 at the Good Samaritan Center. Ethel Elizabeth Jensen was born on August 22, 1926 in Albert Lea, the daughter of Aanon and Effie (Nelson) Greibrok. She grew up on the family farm in the rural Glenville area where she attended District 35 school. She furthered her education at the Lutheran Bible Institute and Minneapolis Business College where she earned her Associate of Arts Degree. Ethel was united in marriage to Roland Hassler on November 14, 1975 at Bethlehem Lutheran Church. She enjoyed living and working on their farm near Glenville. After his death, she married Gayler Jensen on November 30, 2002. For many years, Ethel worked for the Lutheran Evangelistic Movement. During that time, she enjoyed taking her nieces and nephews to Bible camp at Lake Koronis in Paynesville, MN. 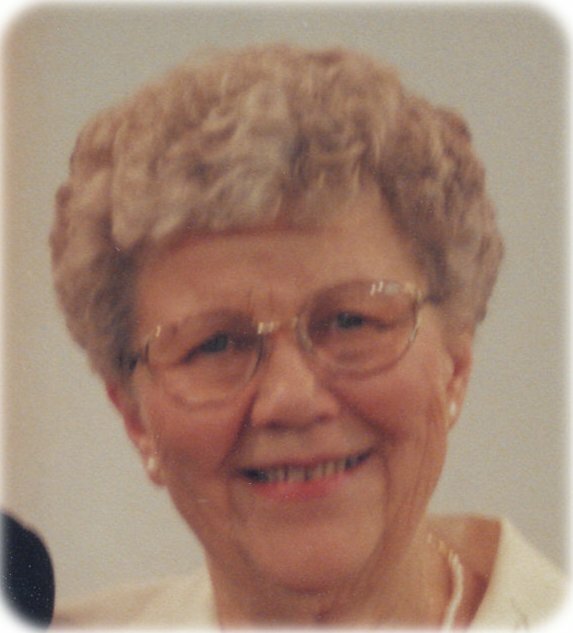 Ethel was an active member at Calvary Lutheran Church in London where she attended Bible study and was a member of the Womens Circle. She was also a member of the Sons of Norway and the Gideon Auxiliary. Ethel enjoyed gardening, traveling, and reading. The number one priority for her and her family was to faithfully serve the Lord throughout her entire life. Ethel is survived by her husband, Gayler; nine nieces and nephews, David (Julie) Greibrok, Rebecca (John) Westra, Dwight (Patty) Greibrok, Canda Greibrok, John Greibrok, Allan (Laurie) Greibrok, Steven Greibrok, Carol Greibrok, and Matthew (Anne) Greibrok; fourteen great nieces and nephews; step-daughter, Gwen (Gregg) Jorgenson; step-son, Murray (Miriam) Jensen; and four step grandchildren, Jill and Kyrie Jorgenson, and Carter and Linden Jensen. Sister-in-law Dorothy Greibrok. Ethel was preceded in death by her parents; sisters, Olive Ring and Genevieve Greibrok; brothers, Maurice (Darlene) Greibrok, and Carlyle Greibrok; and her first husband, Roland Hassler; nephew, Dean Greibrok; step-grandson, Kyle Jorgenson.